I just got home from the Louisville Basketball event at 4th Street Live. 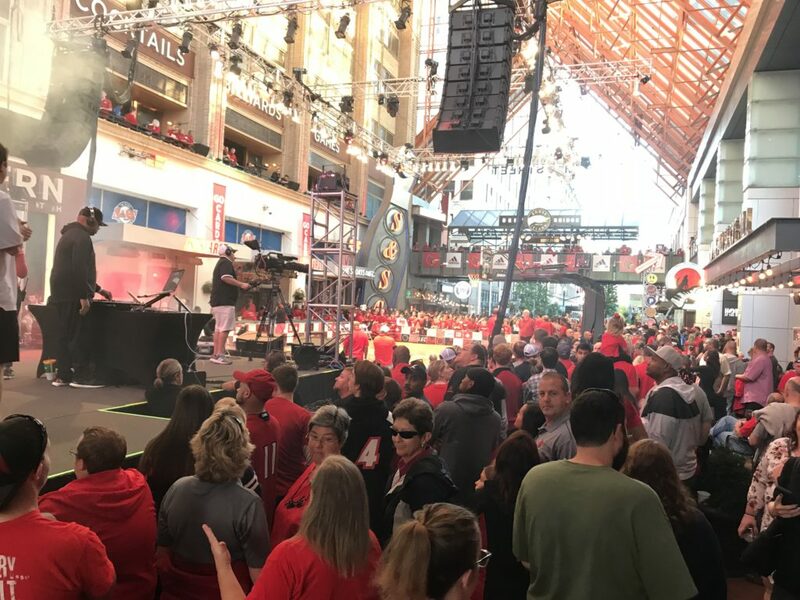 I can tell you after being in the middle of an estimated 7000 screaming Cardinal fans that Louisville Basketball is still very much alive. I had my 6-year-old son with me tonight. In his six years on this earth, we have celebrated some great milestones at 4th Street Live. Together we’ve not only had our own tradition thrive there but have also watched the University of Louisville athletic program thrive. The ACC Celebration, the 2013 National Championship celebration and six years ago the Final Four celebration. 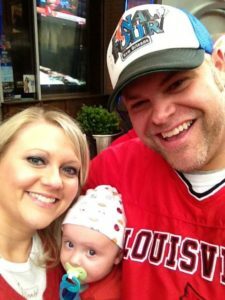 My son had just been born and I had him in a frenzy of Cardinal fans that day. I had never seen Louisville Basketball more alive. Seven months ago I thought it would be a long time before I’d ever see it that alive again. Enter a young, hungry and passionate coach from Cincinnati Ohio. A guy with a blue-collar work ethic and a heart to match. So much of what I do is for my son. I want to leave that legacy and pass on my passion for Louisville Sports and the tradition of it all. I believe much of what Chris Mack does is for his family. And all that adds up to one special Coach. 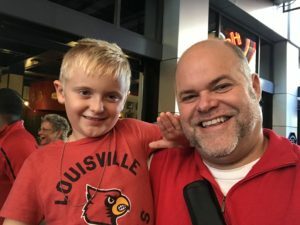 Louisville Celebrations down at 4th Street Live are kind of a tradition for me and my son now. Again tonight I had him in a frenzy of Louisville fans down there. I felt that excitement in the air. I haven’t seen this much or felt this much excitement in a long time. Coach Mack immediately embraced the tradition of Louisville Basketball and he has revived the spirit of Louisville Basketball. I hope he understands what that means to folks around here. I hope he knows what that means to me. Tonight I felt that passion for Louisville Basketball again. It felt very much like that day back in April of 2012. The Sports tradition I share with my son thrives and the Tradition of Louisville Basketball will continue to thrive. It was a great night at the Louisville Live event. I think we ushered in what will be an exciting time for the Basketball program. Kudos to the Sports Marketing folks for putting this thing together. I can only imagine how much bigger it will be next time.